Before the great summer break begins, we invite you to a relaxed MusicTech Barbecue in the courtyard of Ritter Butzke. 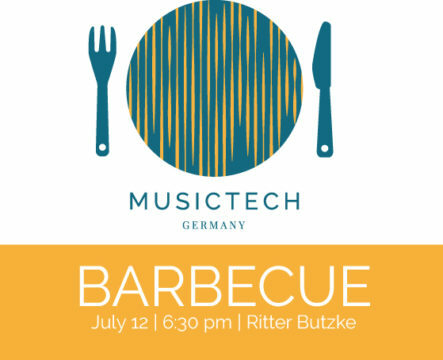 Let’s hang out in a relaxed atmopshere with chilled beer and grilled food, mingle wiht fellow musictechnologists who you don’t know yet and talk about new music technologies and future visions. Admission is free and drinks are free of charge as long as stocks last. Screen and speakers will be at the location, incase you would like to show your products or applications on the spot.